What a difference 14 years make. The launch of the Foreign Policy White Paper on Thursday, the first since 2003, marks the strongest commitment by Australia to the Pacific region in recent memory. The last white paper had a section heading ‘What Australia can and cannot do to help’ in relation to the Pacific. No such caveats in the new document, which places supporting the development of Pacific island nations as a key foreign policy aim. Yet while an emphasis on an enduring partnership with Papua New Guinea and supporting Timor-Leste was expected, the multiple references to the Pacific island states of Nauru, Kiribati and Tuvalu was more surprising. These are small nations, yet Nauru is mentioned more times than France and Tuvalu more times than Iran. All three are identified as a priority focus for a new Pacific Labour Scheme, while Australia has concluded security memoranda with Nauru and Tuvalu. Is this White Paper setting the scene for the formal establishment of free compact state agreements with these Pacific island nations? There are already a number of independent Pacific island states that are in free compacts, or free associations, with larger metropole countries. In Micronesia, the three nations of Palau, the Federated States of Micronesia and the Republic of the Marshall Islands - known collectively as the free compact states – have a Compact of Free Association with the United States. In essence, this means that the governments of these nations consult with the US on foreign affairs issues. Washington also has ‘full authority and responsibility for security and defence matters’ in return for US government services, the opportunity for Pacific Islanders to work in the US, and annual grants. Likewise, the Cook Islands and Niue are self-governing states in free association with New Zealand, which discharges foreign and defence responsibilities on their behalf. So, is Australia edging closer to free compact agreements with Nauru, Tuvalu and Kiribati and, if so, why? The Foreign Policy White Paper provides clues to answer both questions. Firstly, the bilateral security agreements with Nauru and Tuvalu are specifically aimed at targeting transnational organised crime, to build border security capacity and combat health threats. The first two will require close cooperation with the Department of Defence and the Department of Immigration and Border Protection. Less explicit, but almost certainly linked, is the statement that Australia will ‘assist some countries to develop national security strategies’. These policies support the strategic defence objective in last year’s Defence White Paper of a ‘secure nearer region, encompassing maritime South East Asia and the South Pacific’. Second, the expansion of government services to these three countries fit the free association model. Australia will provide testing services to improve the quality and reliability of pharmaceuticals in Nauru and Tuvalu, while the White Paper explicitly states that Nauru, Tuvalu and Kiribati will be prioritised in an expanded labour mobility program. Alone these announcements do not answer why Australia would want to enter into a compact of free association with these countries. That is found elsewhere in the White Paper. The language regarding China’s rise is bolder than Australia has previously used. The White Paper specifically states that ‘[i]n parts of the Indo-Pacific… China’s power and influence are growing to match, and in some cases exceed, that of the United States’. It is noted that China will seek to influence the region to suit its own interests and that economic power is being used for strategic ends. As a result, the White Paper encourages China to ‘exercise its power in a way that enhances stability, reinforces international law and respects the interests of smaller countries’. Yet the underlying message throughout the paper is this cannot be taken for granted. If Australia were to incorporate Nauru, Tuvalu and Kiribati into a compact of free association, it would deny China the ability to become the dominant external influence in these three countries. Looked at on a global map, this would in effect extend and deepen the second island chain formed by the US Free Compact States and enhance Australia’s alliance with the US. It would also give the citizens of Nauru, Tuvalu and Kiribati the right to work in Australia, and would provide government services to the governments of those island nations in return for Australian consultation on foreign policy issues and exclusive military use of the islands. The overall message of the Foreign Policy White Paper is that nothing can be taken for granted in the future, and as a result Australia needs to ‘engage with the Pacific with greater intensity and ambition’ and make ‘substantial long-term investments in the region’s development’. It is time to be truly innovative and match policy to ambition. Australia should set the establishment of a Compact of Free Association with Nauru, Tuvalu and Kiribati as a foreign policy priority for the Pacific. It would not only benefit the three Pacific island nations, but would form a key part of providing maritime security in the region and, as such, would support Australia’s national strategic defence objectives. The closest the White Paper comes to giving an explanation is in Chapter 7, which is devoted to the Pacific. The language in that chapter sits comfortably within a long tradition of Australian thinking about the immediate neighbourhood, one that sees the region as both as a potential source of, and as a vector for, threats against Australia. Put another way, the argument is that Australia’s national security (and to some degree our prosperity) depends both on stability within regional states, and on our ability to prevent external players from influencing or using regional states in ways that damage our interests. The White Paper contains strong declaratory language committing Australia to engage with the region ‘with greater intensity and ambition’. It also explicitly singles out the importance of the bilateral relationship with Papua New Guinea (something that has already been noted in Port Moresby). Much of the detail of the chapter has already been flagged in public statements, including in Julie Bishop’s important speech in Suva in August. The government’s self-described ‘step-up’ in Australia’s approach towards the Pacific (DFAT has deliberately avoided using the word ‘Strategy’) is envisaged to take place across three domains: economic/trade; security; and people-to-people links. This isn’t a bad agenda and there would have been no point in the White Paper reinventing policy on any of this. Even so, it is worth noting that the White Paper endorses significant ideas such as the extension of selected Australian government services into the Pacific, and access for Pacific islanders to the Australian labour market. While these ideas aren’t necessarily entirely new, including them in the White Paper gives them a status that they have not previously enjoyed. Perhaps the most striking statement about the Pacific in the White Paper is the assertion that Australia’s approach to the region will henceforth include ‘helping to integrate Pacific countries in the Australian and New Zealand economies and our security institutions’. While some aspects of earlier or existing Australian policy towards the region may have been directed towards these ends, the reference to integration as an explicit policy objective marks an important inflection point in Australian policy towards the region. The announcement contained in the White Paper that an Australia Pacific Security College is to be established is one of the few elements of the ‘step-up’ that had not already been flagged. This can be seen as something of a down payment on a commitment to much closer integration in the security sphere. We await details of the new college. The tone of Chapter 7 on the Pacific is notably flat: this is presumably deliberate. The language in this chapter studiously avoids any sense of alarm about the region’s development trends, about the risks of fragmentation of the Pacific’s diplomatic architecture or about the geostrategic risks posed by China, something that is given prominence elsewhere in the White Paper. Indeed, China is mentioned only indirectly in this chapter, in references to ‘other sources’ [of aid and loans] and to the Pacific’s ‘outside partners’. This seems remarkably coy when set against the language used in other parts of the White Paper and reads like an attempt to quarantine the Pacific from the broader geostrategic trends and risks described elsewhere in the White Paper, or at least to downplay their significance and relevance in the Pacific. What seems to be going on is an attempt to balance a couple of key imperatives: on the one hand, the wish to project a sense of national self-confidence about our ability to exercise leadership and to set the agenda in the Pacific; on the other hand, the desire to stress that our leadership will be benign and undertaken ‘in partnership’ with Pacific island countries (and Timor-Leste) on the basis of ‘shared interests’. This is of a piece with the government's avoidance of the word 'Strategy' in describing its approach. The focus is on what we can do to enhance our own efforts, not what we can do, or might have to do, to counter the efforts of others. Interestingly, that is not a million miles from the sort of approach towards the Pacific that was advocated by the Labor’s Richard Marles only last week. 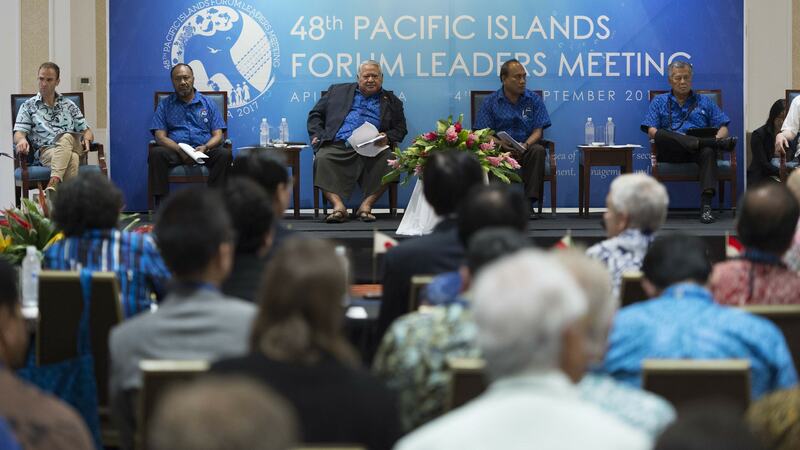 It is certainly gratifying to see bipartisan support for a stronger focus on the Pacific region. Against this background, the Foreign Policy White Paper talks a good game on the Pacific and should be welcomed by those with an interest in Australia’s immediate region. And yet ... We are left with a question: do we have the wherewithal – the resources, the attention span, and the diplomatic and political capital – to fulfil the promise of bringing ‘greater intensity and ambition’ to our approach in the Pacific? On the first of these elements, the answer is (probably) yes; on the second, history cautions that there might be room for doubt, at both the political and institutional levels; on the third, we must acknowledge that this is not entirely in our hands, that notwithstanding our indispensability in the region, there are forces are at work in the Pacific that we do not control and will find difficulty in influencing. The government has set itself a high bar. A footnote: consistent with the steady-as-she-goes tone of Chapter 7, the White Paper commits Australia ‘to continue to support the Papua New Guinea and autonomous Bougainville governments to implement the 2001 Peace Agreement, which underpins peace and stability in Bougainville.’ This has been stated policy since 2001 and it has served Australia well. Even so, given the increasing risk of the Peace Agreement breaking down as the deadline for a referendum on Bougainville approaches, there would seem to be an increasingly strong element of wishful thinking in this formulation. The message: China’s GDP has already comfortably overtaken America’s, and in just over twenty years will be nearly twice the size. Other interesting comparisons are India (growing faster than China, and nearly as big as America by 2030). Indonesia will be nearly as big as Japan. And Australia looks pretty small. In this White Paper, economic calculations are based on purchasing power parity (see glossary). Using market exchange rates, the US economy accounted for 65.4 per cent of the global economy in 1950 and 24.7 per cent in 2016. Over a similar timeframe, China accounted for 4.5 per cent of the global economy in 1952 and 14.9 per cent in 2016. So is China’s GDP a lot smaller than America after all? As is often the case in economics, the answer is: ‘it depends’. If we want to compare the size of different economies or add up different countries’ growth rates, we have to get the GDP figures into a common currency. The easy way is to use the market exchange rate as quoted on the news each night. But exchange rates reflect the supply/demand balance for exports, imports and capital flows. They don’t reflect the larger part of an economy which is not traded internationally. Exchange rates are also quite volatile, reflecting swings of confidence, ephemeral news and market sentiment. Growth rates calculated using market exchange rates would be much more volatile than underlying GDP production. They would also misstate relative size of GDP, because prices tend to be much cheaper in developing and emerging economies. This is especially true of services such as haircuts or taxis (largely because the cost of labour is so much cheaper). A US dollar, exchanged for renminbi, buys a lot more in China than it does in America. Thus using market exchange rates to compare countries would understate what you can buy, and the size of GDP, in emerging economies such as China. Using purchasing power parity (PPP) exchange rates attempts to address this problem. The usual way of explaining is by reference to the well-known Big-Mac index from The Economist. What would the dollar/renminbi exchange rate have to be in order to equalise the price of a Big Mac hamburger in America and in China? That’s easy: divide the renminbi price in China by the US dollar price in America. The Big Mac PPP exchange rate is around 3.6 renminbi per dollar, compared with the current market exchange rate of around 6.6 renminbi per dollar. If GDP in the two countries comprised only Big Macs (and the hamburger was identical in both countries), using this PPP exchange rate to compare the two GDPs would give exactly the right answer. It would give an accurate measure of China’s total production against America’s, and over time would correctly reflect real growth rates (how many more Big Macs were produced) in the two countries. In practice, of course, the two countries produce quite a different mix of goods and services. If the statistician tried to compare the price of a representative basket of American production with a representative basket of Chinese production, it would be comparison of beef and bread in America compared with rice and noodles in China. As well, how to allow for subtle (and not so subtle) quality differences? A train ticket in America will provide a different experience from one in China. Are the services provided by a doctor or a public servant the same in both countries? Where labour is cheap, lot more services (such as home-help) will be in the basket. 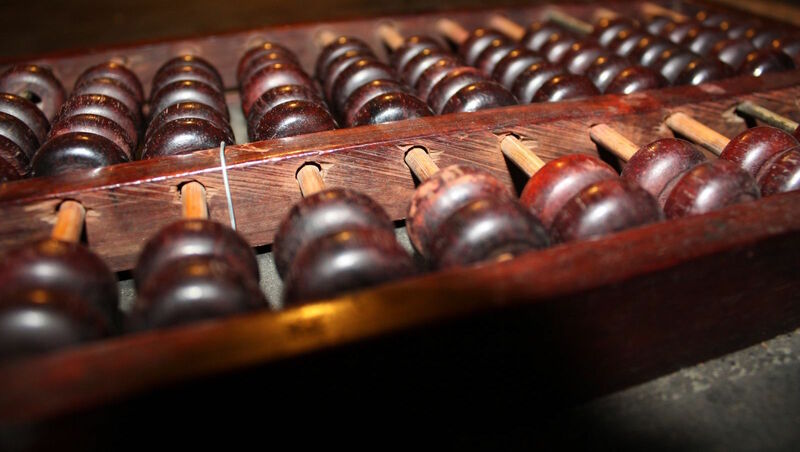 The statistician has to wrestle with these problems, and the process is not tidy. There is inevitably a serious compromise between comparability (are they the same goods?) and representativeness (do they reflect the actual output of the individual country?). Is there a big difference between comparisons based on market exchange rate and PPP? The answer is in the White Paper footnote above. Yes, the differences are big, and they are bigger between countries at different stages of development, such as China and America. American GDP is currently two-thirds bigger than China by market exchange rate but smaller on PPP-basis. This dramatic difference is typical: for developing and emerging economies, the difference between the market exchange rate and the PPP rate is a factor of between two and four. Which method is used also makes a lot of difference to growth rates: the IMF’s World Economic Outlook is largely PPP-based, but market-exchange-rate growth rates are also shown (see WEO Table 1.1). This version of global growth is consistently much lower than the PPP figures show, because fast-growing countries such as China and India have a smaller weight in the market-exchange-rate growth calculations. If you want to compare trade volumes or capital flows between countries, you should use market exchange rates. For most other purposes, PPP is better. But PPP comparisons come with many caveats and provisos. To start with, the figures are only as good as the basic GDP data that go in. This leaves plenty of room for disagreement (recall all the arguments about China’s perhaps-overstated GDP). The OECD provides some guidance on when PPP should and should not be used. Other issues might be grounds for greater dispute, such as the heroic assumptions that go into twenty-year-plus forecasts of growth rates. For example, do demographic differences justify giving India a higher growth rate than China? If this wasn’t enough obsession with a simple graph, there is also a vexed issue of presentation. 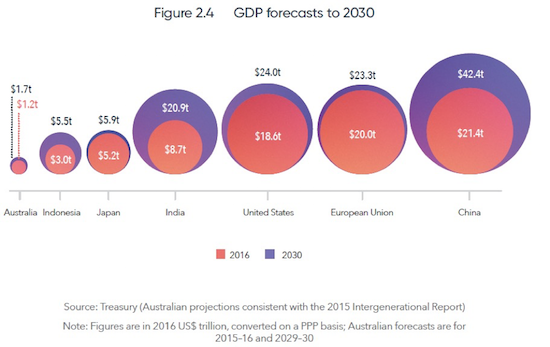 The graph from the White Paper asks the reader to visually compare different circles in order to understand relative size of economies. Does our eye compare the height of the circles (i.e. the diameter) or the area? To help us here (and to acknowledge the problem), the Paper gives us the actual numbers as well, so we know that we should be comparing the areas. But why not use the simple, clearer presentation of a bar graph? Bureaucrats interested in the graphical presentation of data should spend some time with Edward Tufte’s masterpiece, or even take a look at this timeless piece. The Foreign Policy White Paper offers a compelling assessment of the challenging geopolitical environment that Australia faces. It clearly advocates Australia’s priority of engagement in the ‘Indo-Pacific’ region, deftly manages the US-China contest and the inherent awkwardness of our trade and security interests, hedges with its proposed heightened engagement with regional democracies (Japan, India, Indonesia and South Korea) and identifies scope for broader cooperation with other likeminded countries. But what is striking is how the White Paper overlooks and undervalues the benefits of Australia’s strategic engagement with the UN. The paper fails to specify what contributions Australia could offer to the UN’s program of work to support Australia’s interests and facilitate Australia’s agenda for what is branded in the title as ‘opportunity, security and strength’. The UN matters. As part of its core work, it performs essential services including peacekeeping in 15 operations across four continents; feeding 80 million people in humanitarian crises; assisting over 65.3 million refugees fleeing conflict, famine or persecution; saving 3 million lives a year through vaccinating 45% of the world’s children; and protecting human rights on the ground and through some 80 treaties/declarations. The UN Security Council is also the paramount forum for multilateral crisis management, conferring unique legitimacy in its decision making. The UN is the primary forum for tackling the most pressing global challenges, including providing a framework for collective action on climate change and implementing the internationally agreed sustainable development goals (SDGs) to ensure economic development, environmental preservation and social advancement in all countries. This work is essential to Australia’s emphasis on 'a rules-based international order' by which norms are set to regulate states conduct. A commitment to a rules-based order and cooperation is the pervasive theme of the White Paper and Foreign Minister Julie Bishop appeared to affirm the government’s faith in the UN as a vehicle for prosecuting Australian foreign policy in a speech ahead of the release. Curiously, this endorsement of the UN is not properly reflected in the White Paper. The government identifies the promotion and protection of international rules that support stability and prosperity and enables cooperation to tackle global challenges as one of its five objectives of fundamental importance. Yet the paper fails to make the obvious declaration that identifies the UN as the primary forum for promoting the rules based order. Arguably, this is done by inference. Australian engagement with UN activities is identified throughout the paper. This includes the UN Office on Drugs and Crime to fight transnational crime and corruption (page 73); binding Security Council resolutions that underpin collective responses to terrorism and North Korea’s proliferation of weapons of mass destruction, including sanctions (page 82); the UN Framework Convention on Climate Change (page 85); working to achieve the SDGs (page 88); support for the Office of the High Commissioner for Human Rights and membership of the Human Rights Council (page 89); and the UN Committee on the Peaceful Uses of Outer Space to pursue security in space (page 97). The Paper also identifies means by which Australia helps protect and strengthen international rules and norms, including by supporting international accountability and adjudicatory mechanisms, such as the UN’s International Court of Justice (page 83). But despite this substantial level of engagement, the dedicated passage on the United Nations appears as one of a number of subsets to Chapter 6 on global cooperation and is notable for its brevity (five paragraphs) and seeming ambivalence to the UN. There is no substantive and coherent strategy offered on engagement with the UN, and how Australia could pursue its national interests in the forum. Nor is there any meaningful examination of how the UN has supported Australian interests. Just five paragraphs that include a flat statement recalling Australia’s candidacy for election to the Security Council for the 2029-2030 term and a somewhat negative characterisation of the UN through the emphasis on Australia’s interest in its reform. 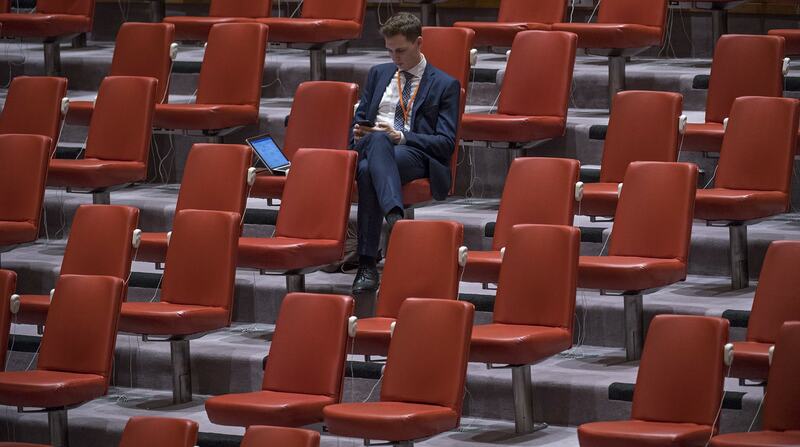 There is no doubt the UN is an imperfect organisation – how could it not be when it is the reflection of efforts to reconcile the often disparate interests of its 193 members? Many elements of its operation would benefit from reform to better position the UN to manage global crises, as has been recently proposed by Secretary General Antonio Guterres. But the UN remains a critically important multilateral institution and assists Australia by both promoting the rules-based order and offering a forum to secure outcomes in Australia’s direct national interest and project influence. The cursory treatment of the UN in the White Paper marginalises an institution that is an obvious partner in support of the government’s key objectives in international engagement and deserved more recognition. The major themes tackled in the Foreign Policy White Paper - particularly China’s ability to challenge the US-led international order but also the rising importance of India and Southeast Asian nations - are underpinned by the shift in global economic weight towards Asia. As the White Paper notes, these trends are set to continue. Today, China’s economy is 15% larger than the US in purchasing power parity terms, the relevant basis of comparison for most purposes. By 2022, the IMF reckons it will be 50% larger. By 2030, the White Paper’s figures suggest China’s economy will be 80% larger. To put that in perspective, that’s roughly how much bigger the US economy was than China’s back in 2006. In thinking about China’s challenge to the US-led international order, and the White Paper’s desire to see that order preserved, this relative economic trajectory must be kept front of mind. China’s ability to reshape things took many by surprise just a few years ago and was then put into even more stark relief with the arrival of a nativist Donald Trump. China looks confident and ascendant, and Trump’s America recalcitrant. But the economics that created this situation did not occur overnight. As we look to the future there is a risk of again failing to fully grasp how quickly changes in relative economic weight might translate into changes in the balance of power, particularly if compounded by other difficult to predict factors. One has to wonder whether the White Paper takes this sufficiently into account, or whether a decade from now it will seem obvious that China’s ability to reshape things was far greater than appreciated today. The White Paper stakes a lot on the expectation that other Asian countries, notably India and Indonesia, will rise at the same time as China. The argument then goes that this gives Australia an opportunity to hedge and counter-balance a more assertive China, as well as creating economic openings. The White Paper eyes strong growth in these economies driven by their favourable demographics and the emergence of millions of middle-class consumers. Yet as the White Paper itself acknowledges (though only in passing), these countries will need deep and difficult structural reforms if they are to capitalise on this growth potential while rising automation threatens to undermine that same potential. So as much as they present an opportunity for Australia, these countries could also pose a risk. Demographics mean countries such as India, Indonesia, and Philippines face the urgent task of creating enough good quality jobs to absorb millions of new workers every year without relegating them to the informal sector where they will not only be far less productive but risk becoming disenfranchised and a potential source of instability. Similarly, a rapidly expanding middle class can help drive growth but will also be accompanied by high expectations for better quality jobs, public services, social security, and cleaner government. Avoiding a crisis of expectations will be a critical challenge. Will governments and politics in these countries be up to the task? So far, it’s not clear that they are. If these economies eventually falter or become a cause of domestic discontent, they will struggle to help shape the region and instead may become more amenable to Chinese influence and the economic largesse that comes with it. Finally, it would be remiss not to discuss Trump and the rise in populism of which he is a part. The White Paper does a good job of calling Trump out on his protectionism and undermining of the global trading system, without using his name of course. It reiterates Australia’s strong commitment to economic openness and the value of the World Trade Organization and its dispute resolution mechanism, which Trump is seeking to undermine. The ‘generational’ goal of knitting together a regional trade and investment agreement that includes both the US and China is the right kind of ambition. But in placing so much emphasis on the US-led order, the White Paper in essence assumes that we can look through Trump and his America First nativism as an aberration with little permanency. Hopefully so. But the structural factors that are driving populism in the US and around the world, including widening inequality, technological disruption, and the role of social media in particular, show no signs of abating. Photo by Flickr user RedBird XZY. The Foreign Policy White Paper has much to commend it, not least its analysis of the changing and challenging global and regional environment and its embrace of a ‘whole-of-government’ approach to Australia’s international interests. But if there are few questions to be asked in these areas, there is a need to explore the weight which the Paper attaches to international rules, rules based orders and indeed ‘values’. Neither as a matter of principle nor in terms of Australia’s interests can this emphasis be questioned. Rather, the question is about why the ‘rules-based order’ concept has become so prominent in the argot of Australian policy. It’s a question which pre-dates last week’s Foreign Policy White Paper. Kevin Rudd used the term when he was prime minister, and then very frequently as foreign minister. Bob Carr eschewed it, but his successor, Julie Bishop, has used it increasingly since 2014. ‘Rules-based order’ was not used at all in Foreign Policy or Defence White Papers prior to 2009. The Defence White Papers of 2009 and 2013 included eleven references to the term, then the 2016 Defence White Paper, in identifying the ‘rules-based order’ as one of Australia’s three core strategic interests and linking the concept to Australia’s alliance with the United States, referenced it no less than 56 times. Last week’s Foreign Policy White Paper, while adopting a less expansive view of the ‘rules-based order’ than its 2016 Defence counterpart and, on a quick count, offering only 12 specific references to the ‘rules-based order’, nevertheless refers to ‘rules’ on at least 42 other occasions, to ‘international law’ 22 times and to ‘values’ 17 times – all in addition to numerous references to ‘principles’, ‘norms’ and ‘standards’. It’s not that conceptually the ‘rules-based order’, in whatever words, is new to Australian policy. The White Paper refers to Australia’s 'long record of helping to develop the rules-based component of the global order', citing our role in establishing the United Nations in 1945 and our 'leading role in setting new rules and norms' in a number of areas since. This is a significant acknowledgement given that, historically, Labor governments have been more associated with this kind of internationalism while Coalition governments, though never disowning it, have been more sceptical and more bilaterally focussed – think Tony Abbott’s 'less Geneva more Jakarta'. Nor is the ‘rules-based order’ emphasis unique to Australian policy rhetoric – the term has been used increasingly among some Europeans, and by American liberals, and has also been employed by Japanese spokesmen and at times by Indians and Singaporeans. But for others in the region the term is treated warily, and many cases never used, at least in their native languages. How then to account for the heavy focus by a Coalition government on the ‘international rules-based order’ and its associated values? Is it simply that matters so critical to Australia are at now at risk and so require renewed advocacy? Or is it, as some of Canberra’s cynics would have it, a matter of clinging to a fading past? Or is it intended as implicit criticism of other players on the global stage? Thus, reference to ‘rules-based order’ in this region might be aimed at China in relation to the South China Sea, while use of the term in Europe alludes to Russia and its behaviour in Ukraine, and among liberals more generally – and especially economists of the globalist school, and environmentalists – it’s President Donald Trump, with his America-first neo-protectionist focus, who is the villain. A well-worn cliché has it that most countries adhere to most of the rules most of the time while all of us, the bigger powers especially, disregard them when national interest requires it. It would indeed be unusual for any country to deny the value of international rules. China, for one, has benefitted enormously from the ‘rules- based order’ since 1979, and knows it; it has begun trying to position itself as a champion of the order in selected areas, and even presents its South China Seas claims within a legal framework, albeit one that is alien to UNCLOS. Where Beijing, like others in the region, is most sensitive is when the adjective ‘liberal’ precedes ‘rules-based’, thus seeming to question the legitimacy of their regime. As it happens, neither the Defence nor Foreign Policy White Papers use the term ‘liberal rules-based order’ (though the Foreign Minister has on other occasions). That nuance may not however be sufficient to allay the perception that the emphasis in last week's White Paper on rules, values and norms, and its references to the rule of law domestically, tends to differentiate Australia unduly from much of the region to which, as it makes clear elsewhere, our interests are so closely tied. Research for this article was assisted by AusCSCAP. On joining AusAID's Gender Equality Section in 2008, I kept a copy of the 2003 Howard-era foreign policy white paper on my shelf. Containing no references to women, women's rights, gender equality or human security, it served both as a stark reminder of a conservative past, and as a symbol of the possibilities that lay ahead as Kevin Rudd promised an expanded aid program and multilateral engagement. I had been recruited to progress Australia's implementation of UN Security Council Resolution 1325 on Women, Peace and Security and these early days of Australia's bid for a seat on the UN Security Council were a boon for working on gender equality. Resolution 1325, passed in 2000, had acknowledged for the first time that women's participation and a gender perspective was essential to the maintenance of international peace and security. In 2004, the UN Secretary-General had requested Member States to develop National Action Plans (NAPs) to speed up progress of its implementation (as of August this year, 74 countries had developed such plans). The inclusion of Women, Peace and Security in Australia's Security Council bid helped shine a light on the aid program's existing support to women peacebuilders in the Asia Pacific region and the work underway to develop a plan that had been rumbling around AusAID. While slow off the mark, Australia finally released its own whole of government National Action Plan on Women, Peace and Security in March 2012. The plan guides the government's work to implement eight Security Council resolutions, setting out how Australia will integrate a gender perspective into all areas of peace and security policymaking and operations. Through its creation, the government ensured it wasn't left behind by international progress in this policy area and gained a useful foreign policy tool. The latest Foreign Policy White Paper, however, demonstrates there is still work to be done. Policy expertise and understanding of the women in peace and security agenda needs to be expanded from the aid portfolio to the centre of the government's national security paradigm. The same can also be said to build understanding about the contribution that gender and human security make in a more comprehensive approach to security in our region. To do so, the government has a large and growing evidence base to draw from – some of which it has funded – that confirms the importance of women's rights as central to foreign policy and critical to national security, including in preventing violent extremism. Including a section on gender equality in the White Paper was welcome. But framing of gender equality as a development issue, rather than a strategic foreign policy issue, was disappointing. Indeed, DFAT's Gender Equality and Women's Empowerment Strategy (2016) goes much further in this direction. Even the 2016 Defence White Paper details its commitments to implement 17 of the 24 actions in the National Action Plan, and emphasises that resolution 1325 'recognises that security, stability and peace can only be achieved through a gender inclusive approach to conflict resolution and peacebuilding'. The analysis in the Foreign Policy White Paper appears on just one line on page 93: 'gender inequality undermines global prosperity, stability and security. It contributes to and often exacerbates a range of challenges, including poverty, weak governance and conflict and violent extremism.' The White Paper missed an opportunity to demonstrate a depth of understanding on how gender intersects with sustainable development, human rights, peace, security and regional stability. In eschewing reference to the National Action Plan or substantive gender analysis, the White Paper also missed a golden opportunity to inspire a vision that at least matched and advanced the government's current policy directions. For instance, work is well underway across government and civil society to prepare for the second National Action Plan (the first expires in 2018). The Turnbull government also recently reconfirmed its commitment in April 2017 when tabling the 2016 NAP Progress Report in parliament. The omission was also surprising, given the opportunity it provided to showcase Australia's work at the UN Security Council (featured in Chapter 6: Global Cooperation). During Australia's 2013-14 stint on the Security Council, the government identified Women, Peace and Security as a priority and as a key achievement of its term. 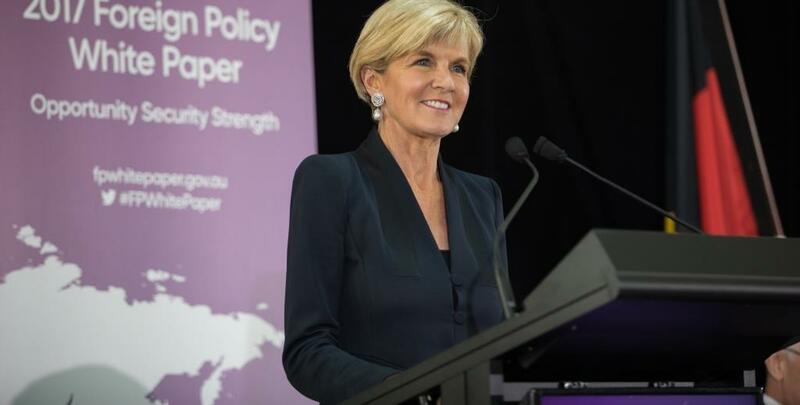 Achieving an Australian foreign policy guided by feminist principles and practice will require a long-term vision and concerted effort across government. Continuing to resource the Ambassador for Women and Girls' role to advance gender equality through foreign policy will be critical. Constructively engaging and resourcing civil society will also help develop and support the credibility of Australia's second National Action Plan. The nuanced analysis within the civil society submissions to the White Paper will also help to expand the use of 'human security' in the government's lexicon. Equality between women and men is a fundamental aim of Swedish foreign policy. Ensuring that women and girls can enjoy their fundamental human rights is both an obligation within the framework of our international commitments, and a prerequisite for reaching Sweden's broader foreign policy goals on peace, and security and sustainable development. For many commentators with an interest in the Pacific, the emphasis on the region in the Foreign Policy White Paper has been welcomed as long overdue. Yet it has also raised some questions about the manner in which Australia engages in the region. James Batley has questioned whether Australia has ‘the wherewithal – the resources, the attention span and the diplomatic and political capital’ to really achieve our ambitions in the region. Nic Maclellan has gone further, writing: ‘It is folly to believe that citizens in neighbouring Pacific countries will allow Australian governments to set the agenda’. I happen to disagree with Nic. I not only believe that Australia can play a major role in setting the agenda, but that it must if it is to achieve its own foreign policy and security aims. However, that does not mean Canberra will be able to ride roughshod over our regional partners, and nor should it. Instead, Australia is going to have to take a blunt and honest look at how to achieve its aims in the Pacific, and the relationships it wishes to have with its regional partners. Greater ties with Pacific nations is not a zero-sum game. In that vein, I believe that Australia should consider the following when engaging in the Pacific. 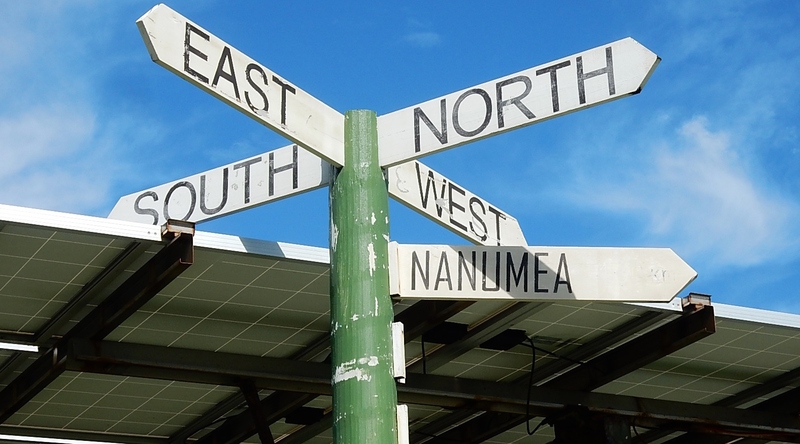 Australia’s overarching aims in the Pacific are outlined in two key policy documents. The 2016 Defence White Paper states that Australia’s strategic defence interests include a ‘secure nearer region’. To do this it will ‘support the security of maritime Southeast Asia and support the governments of Papua New Guinea, Timor-Leste and of Pacific Island countries to build and strengthen their security’. Likewise, the Foreign Policy White Paper states that ‘Security in Papua New Guinea, the wider Pacific and Timor-Leste...is vital to our ability to defend Australia’s northern approaches, secure our borders and protect our exclusive economic zone’. This is not surprising. As an island nation, Australia relies on maritime trade routes, many of which bisect the region. Thus, Australia has identified that underpinning regional security, and remaining the partner of choice for Pacific Island countries, is critical to Australia’s national security interests. This includes ‘working to limit the influence of any actor from outside the region within interests inimical to our own’. If greater security is Australia’s immutable objective in the Pacific, then Canberra must acknowledge that every Pacific Island nation will have its own non-negotiable aims. While commentators need to be cautious about apportioning generalised aims across a complex region of sovereign states, most would agree the existential threat posed by climate change is the one issue of primary importance to Pacific Island nations. As I have written here and elsewhere, Australia’s position as the world’s largest coal exporter, and its domestic policies on climate change, undermine its relationship in the region. If Australia is to be able to influence the regional agenda then it must address this issue with urgency. Australia’s response should be three-fold. First, Canberra needs to be seen to lead the way in delivering climate resilience measures in the region, including in the area of climate insurance. Second, Australia needs to join Britain, Canada, New Zealand and the 16 other countries that comprise the Powering Past Coal Alliance and commit to ending coal use in electricity generation by 2025. Finally, Australia should support a worldwide move away from coal by setting itself the target of becomig a world leading exporter of renewable energy technologies. This would energise the renewables industry and generate an important export market. Together these policy goals would prove Wesley Morgan’s argument that Australia needs to demonstrate to Pacific Island nations it is ready to move away from coal. Everything outside of these two areas lies along a spectrum of negotiability, where talks conducted between Australia and the sovereign nations in the Pacific will determine the level of compromise: labour mobility, access to markets, visa waiver requirements, and diversification of development assistance to address human security issues should all form part of the bilateral agreements required for regional cooperation. Last month I wrote that Australia could seek to achieve its security aims in the region through the establishment of a Compact of Free Association with Nauru, Tuvalu and Kiribati, in much the same way as Palau, Federation States of Micronesia and Republic of the Marshall Islands has a compact with the US, and the Cook Island and Nuie are self-governing states in free association with New Zealand. Nic Maclellan has argued that this idea ‘fails the pub test’ and that Pacific Island nations would not be willing to cede foreign policy control to Canberra. The implication that these countries would lose their sovereignty or ability to conduct foreign affairs is misleading. In the Compact of Free Association between Palau and the US, Section 127 explicitly states: ‘The Government of the United States may assist or act on behalf of the Government of Palau in the area of foreign affairs as may be requested and mutually agreed from time to time’ (my emphasis). Palau is a sovereign nation and recognised as such by the US. Where there is a restriction under the compact, it is contained within Section 311, which states: ‘The territorial jurisdiction of the Republic of Palau shall be completely foreclosed to the military forces and personnel or for the military purposes of any nation except the United States of America’. In return, the US accepts responsibility for the defence of Palau and delivers a host of government services. A similar Compact of Free Association with Kiribati, Tuvalu and Nauru would not impinge the sovereignty of these Pacific Island nations. To the contrary, in return for agreement to grant exclusive military access to Australia, and thus restrict the ability of potentially hostile powers to establish a presence in the region, the three countries would be able to negotiate a significantly better deal with Australia across a range of areas than they currently enjoy. Far from restricting them, compact negotiations would empower them. In fact, resistance to this proposed solution is more likely to come from Australia, baulking at the commitment as too expensive. While relationships between Australian and Pacific Island nations should not be viewed as a zero-sum game, it is Canberra that might believe the price is too high. Yang Jie, an intern in the East Asia Program, and David Vallance, an intern in the International Security Program, summarise media reports from across the region following the release last month of the Foreign Policy White Paper. When asked for comments on the White Paper, Lu Kang, spokesperson of the Ministry of Foreign Affairs, urged Australia to ‘stop making irresponsible remarks on the South China Sea’. On the rules-based order, Lu stresses that China has always supported an order under the framework of the UN. ‘The order we are talking about is not dictated by any country’, the spokesperson said, indicating that China respects a rule-based order, but the order is not necessarily made by the US or Australia. Comment: Lu’s remarks suggest China is annoyed by Australia’s comments on the South China Sea, yet not especially angry with Australia’s suggestion that China is challenging the rules-based order. China considers Australia’s stance on the South China Sea unhelpful in maintaining the stability of the region. Chinese media reports stressed that China and ASEAN countries have made significant progress in dealing with the South China Sea issue, suggesting this progress is disrupted by Australia’s continuous raising of the issue and calls for other countries to counterbalance China. The Global Times adopted a harsher tone on the White Paper. Its Chinese language title literally read ‘Australia eats the meat and then abuses the mother’, suggesting that Australia is not grateful for the benefit it has gained from China. ‘Most of western countries have an anxiety about the rise of China, but Australia has the most blinkered approach towards the rise of China,’ the article said. 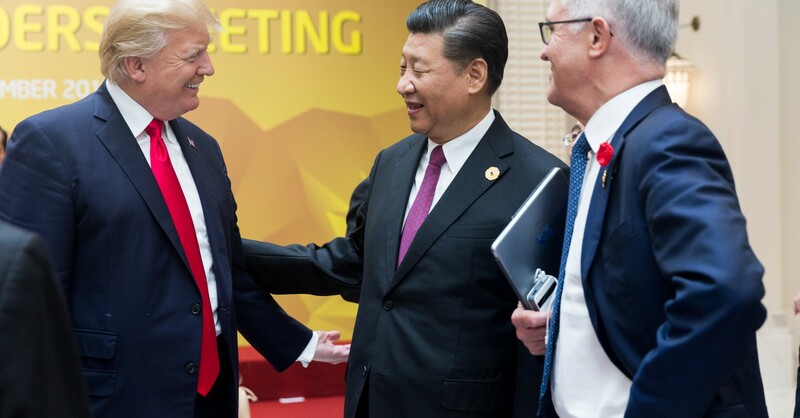 ‘While the US even somehow expresses its welcome to China’s rising, Australia seems to hold a negative attitude itself and [is] steering others to this direction’. Indeed, the Global Times has, for a while, accused Australia of serving as a distant propaganda outpost agitating for neighbours to be wary about China. Comment: The Global Times also featured a surprisingly self-reflection, asking why it is so hard for China to employ soft power and make other countries comfortable with the rise of China. ‘It remains to be seen if Australia's establishment would come to trust China anytime soon to lead our world at a time of an increasingly myopic American leadership that is too self-obsessed with its own identity politics and endemic US socio-economic problems’, the author says. ‘My bet is that the Australian common progressive sense will prevail over provincial loyalties’. The article says Australia, now and in the past, has sought ‘to meddle in Asian affairs on behalf of the West’ and concludes by downplaying the importance of Australia to China. It finishes: ‘Australia after all is not part of the Asian continent. China should prepare both a friendly face and a cold shoulder’. The ‘Quadrilateral Dialogue’ appears in the first sentence of this article, as an example of the potential increase in Australian engagement with India. However, Bagchil is quick to note that support for the Quad is not uniform in Australia, stating that Labor has still not ‘signed off’ on it. Australian engagement with India will not only involve attempts to resuscitate the Quad, but also participating in naval exercises with the Indian military. The article notes that the coming India strategy paper will complement the conclusions and recommendations drawn from the White Paper. Finally, noting Prime Minister Malcolm Turnbull’s support for the rules-based international order, Bagchil quotes The Australian columnist Rowan Callick saying that China may increasingly perceive Canberra’s foreign policy as a 21st century version of containment. This brief article emphasises the acknowledgement in the White Paper of the importance of Australia-NZ cooperation in economic, defence, and intelligence matters as ‘Australia’s most comprehensive relationship’. New Zealand’s role as a member of the Five Eyes partnership for intelligence cooperation is emphasised, as is its role in enhancing Australia’s engagement with Pacific island countries. This article is one of the few substantive pieces of analysis on the White Paper written outside Australia. 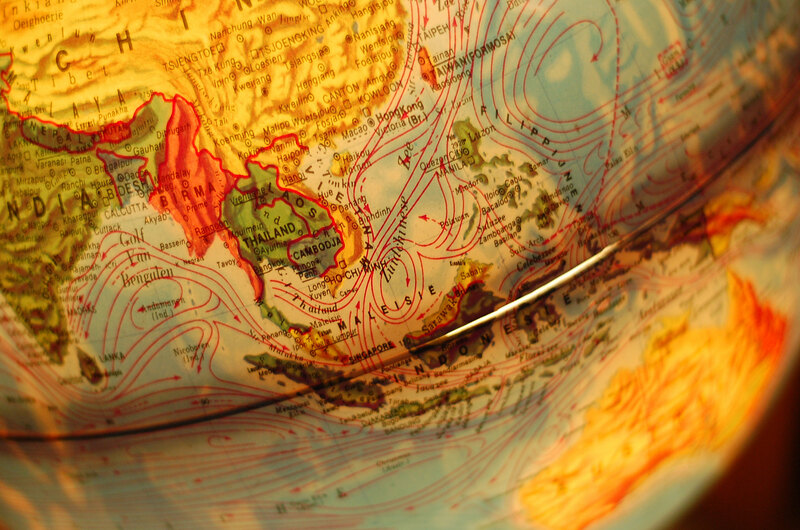 Velloor begins by praising the way in which Australia’s foreign policy establishment recognises the connection between ‘geopolitics and geo-economics’. The paper, he goes on to say, is a ‘magnificent tour de force’ as a view of how the Indo-Pacific will develop in the coming decades. On the economic front, he has no concerns. The White Paper notes that by 2030 the region will produce more than half of global economic output, and consume over half its food and 40% of its energy. It is natural that Australia should seek to engage in growing markets. His misgivings are towards the foreign policy part of the White Paper. He poses the question of whether Australia puts too much ‘blind faith’ in the US, and whether solutions put forward to check Chinese aggression are indeed workable. American retrenchment is not the product of the Trump administration alone, he says, and there is no guarantee that subsequent administrations will take a harder line against China in the future. The suggested foreign policy, he says, has whiffs of containment about it, and has a certain nostalgia for the relative simplicity of the bipolar Cold War world order. The main ‘dilemma’ he would see resolved is between ‘the US for security, China for prosperity’. One indication of Canberra’s willingness to ‘stay the course’ against Chinese aggression, Velloor says, would be if Canberra decided to conduct freedom of navigation operations in the South China Sea. Until then, or until another hard power action occurs, the dilemma will remain unsolved.